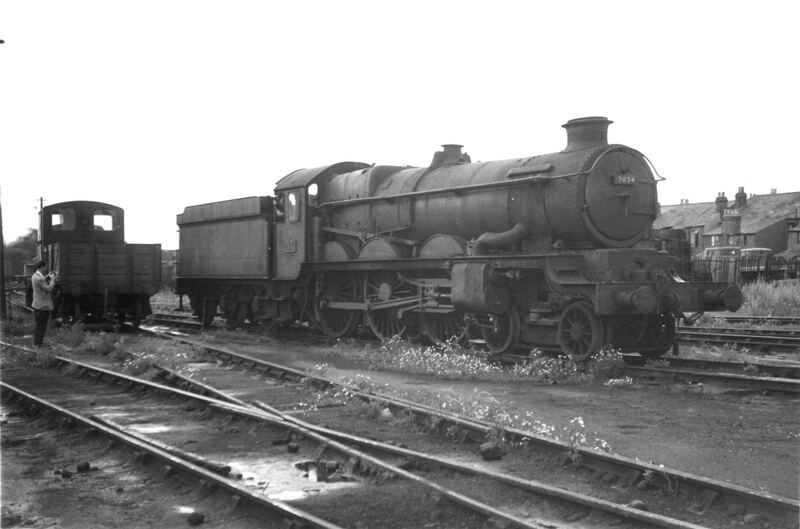 GWR Castle Class 4‑6‑0 No 4095 "Harlech Castle"
Bereft of number and nameplates and minus coupling rods and safety valve cover, GWR Castle Class 4‑6‑0 No 4095 Harlech Castle is captured on camera in bright sunshine at Cambridge on 19.12.63 whilst in transit from 81D Reading to King’s, Norwich for cutting up. GWR Castle Class 4‑6‑0 No 5089 "Westminster Abbey"
A small number of spotters are frozen in time as GWR Castle Class 4‑6‑0 No 5089 Westminster Abbey, of 84A Wolverhampton (Stafford Road), prepares to depart from Birmingham (Snow Hill) with the Pines Express from Manchester to Bournemouth on 26.4.63. GWR Castle Class 4‑6‑0 No 7034 "Ince Castle"
It is the end of the line for GWR Castle Class 4‑6‑0 No 7034 Ince Castle, equipped with a double chimney, standing isolated and unwanted on a side road at its former home MPD of 85B Gloucester (Horton Road) on 1.8.65, some five weeks after withdrawal. 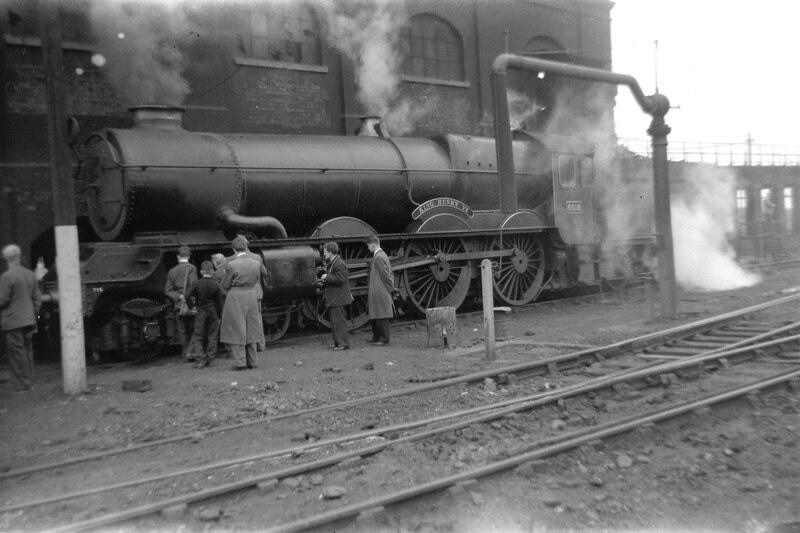 Note the homemade smokebox numberplate. GWR King Class 4‑6‑0 No 6018 "King Henry VI"
After withdrawal from normal active service GWR King Class 4‑6‑0 No 6018 King Henry VI was based for a number of months at 84E Tyseley prior to taking charge of an SLS special to Swindon and return on 28.4.63. King Henry Vi has a number of admirers as the loco replenishes its tender from the coaling stage at 82C Swindon. 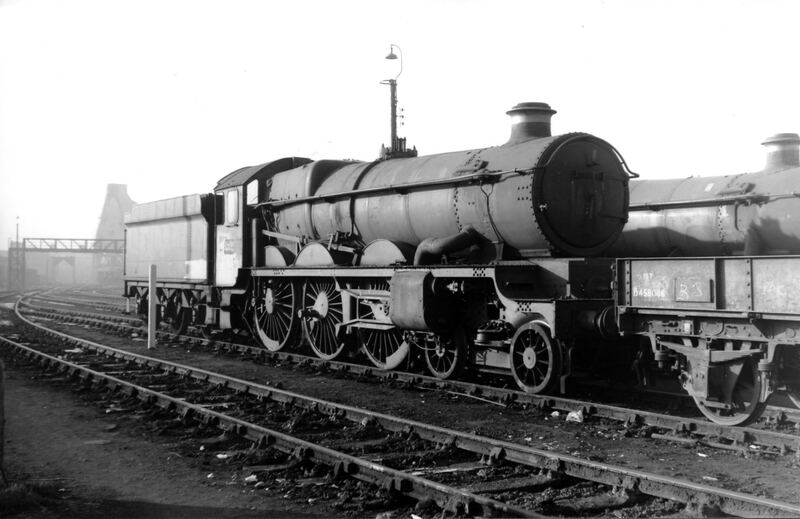 There are no known additional amendments and queries with regard to the disposals of the GWR Castle & King Classes, but any information to the contrary will be welcomed along with any confirmations or otherwise of the verifications required. Discrepancies between the monthly withdrawal dates as published in the 1983 reprint of WHTS Volume Two and the updated versions online are negligible. The author hopes that this streamlining will add to the enjoyment of the existing chronological sequence of events appertaining to WHAT HAPPENED TO STEAM – Volume Two. 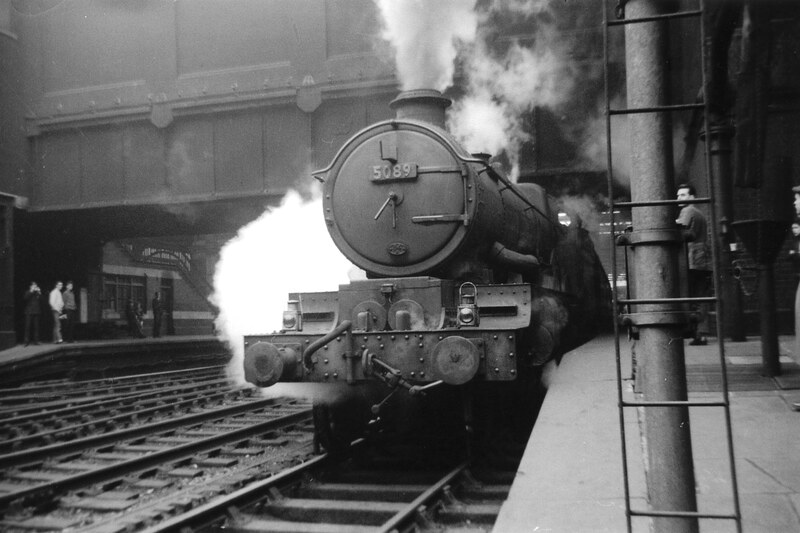 To add to the interest of enthusiasts of former GWR steam locomotives, last recorded Heavy General Overhauls and total mileages (as at 28.12.63 or upon withdrawal) – where records are available – plus the dates of double chimney modifications for the Castles – have been incorporated in WHTS Volume Two.